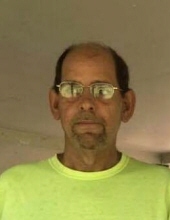 Jimmy Wayne Calton, age 57, of Jellico, TN, passed away Wednesday February 6, 2019 at Baptist Health Corbin in Corbin, KY. He was born May 26, 1961 in Jellico, TN, to the late Hugh Calton and the late Lou Webb Calton. Along with his parents he is preceded in death by 2 brothers, Lawrance Elmore, Jess Elmore, 3 sisters, Wanda Partin, Barbara Walker, Shirley Brown, a nephew, Wayne Rose, and a niece, Madison Mounce. He is survived by his wife, Ronda Sams Calton of Corbin, KY, 2 daughters, Alicia Calton of Lexington, KY, Latasha Allen (Corey) of Harrodsburg, KY, 1 brother Tom Elmore (Jan), 7 sisters, Marie Mounce(Everett), Ella Curtis, Linda Calton, Pearl Prater, Mary Holbrook, Ann Bustamante, Kay Bailey (David), several nieces, nephews, and a host of other relatives and friends to mourn his passing. To send flowers or a remembrance gift to the family of Jimmy Calton, please visit our Tribute Store. "Email Address" would like to share the life celebration of Jimmy Calton. Click on the "link" to go to share a favorite memory or leave a condolence message for the family.